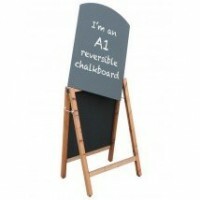 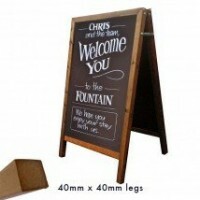 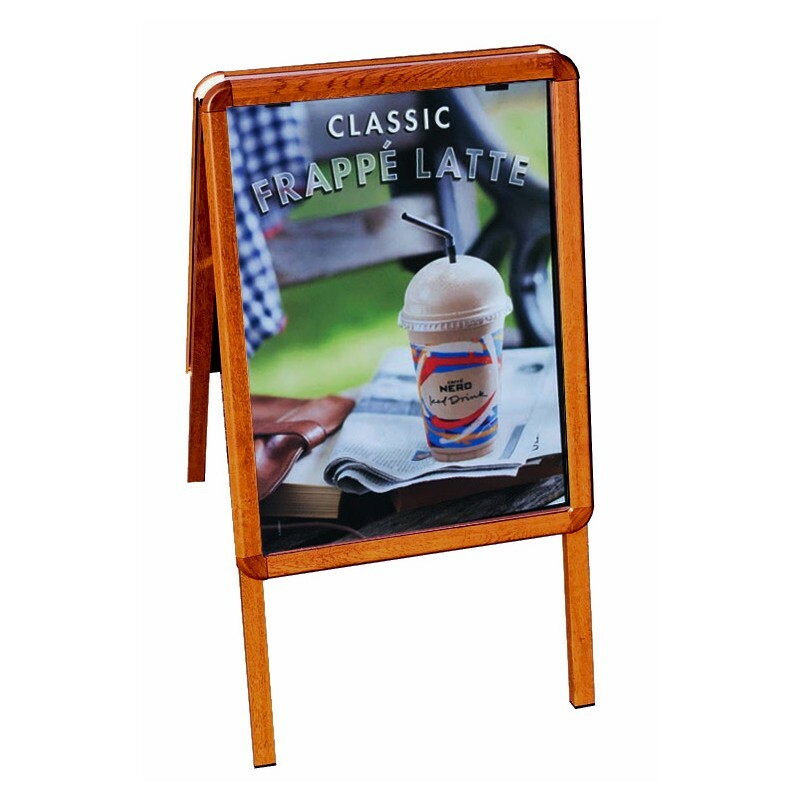 A modern twist on a very traditional promotional tool, this pavement display board has a contemporary construction, and is made from tough, durable materials, while retaining a simple, timeless A-board design with a stylish, natural wood effect finish. 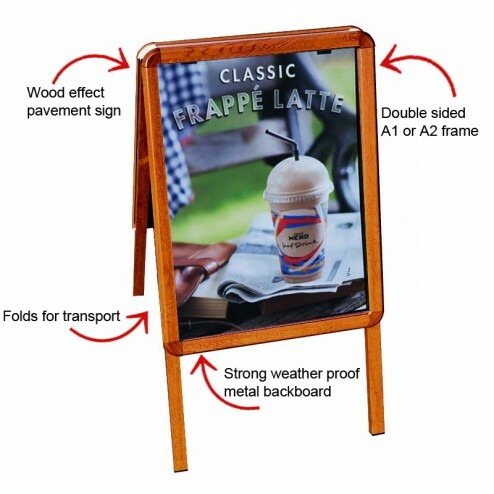 Hard wearing and practical, the pavement sign is double sided for maximum exposure, attracting the attention of passers by in both directions, and providing the opportunity to display two entirely different messages at once. The A-board features a snap shut poster frame on each side, making graphics changes quick and easy so your messaging stays up to date, and the posters are covered with anti-glare sheets for protection, keeping them perfectly pristine and readable, whatever the weather. 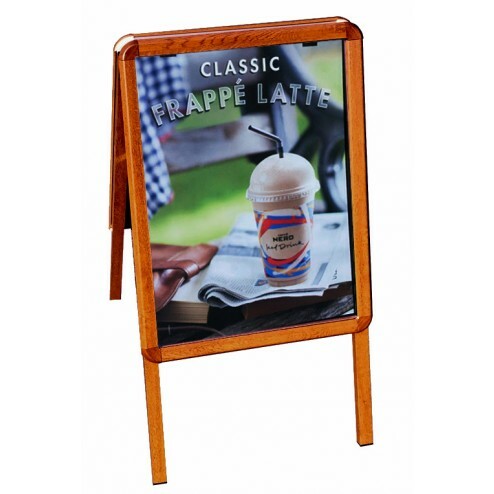 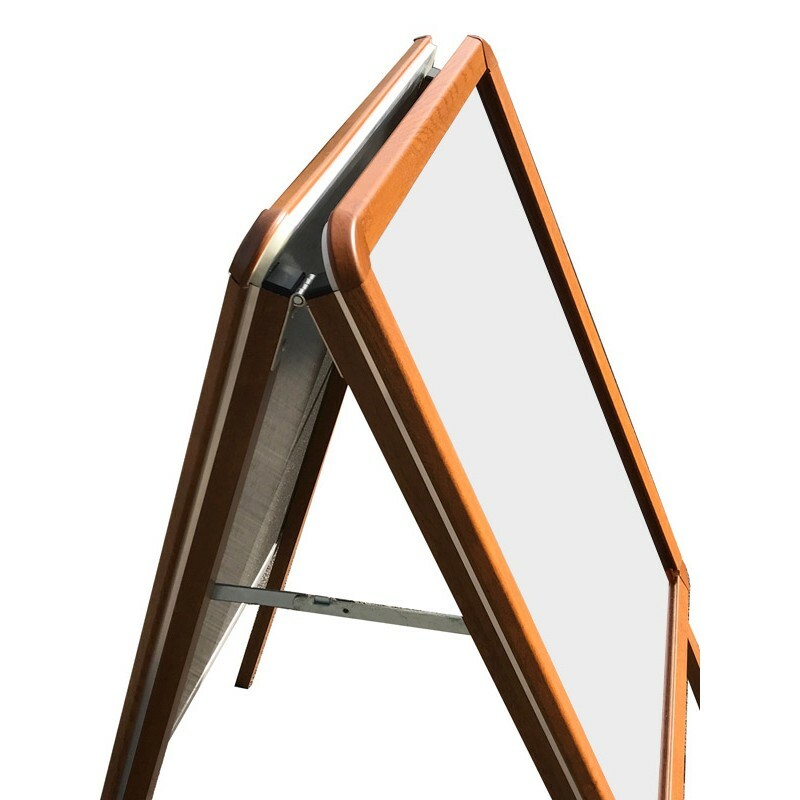 The A-board is suitable for both indoor and outdoor use, and has smooth, rounded, mitred corners for pedestrian and customer safety. 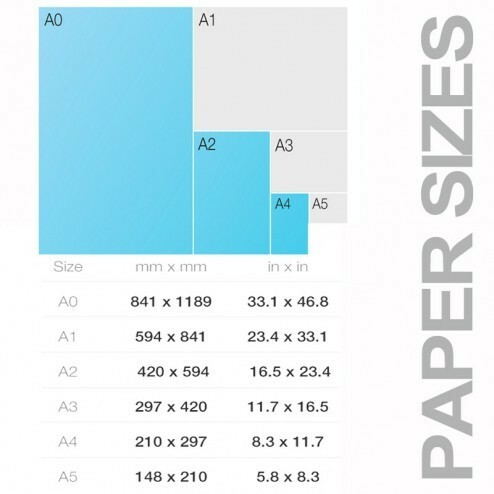 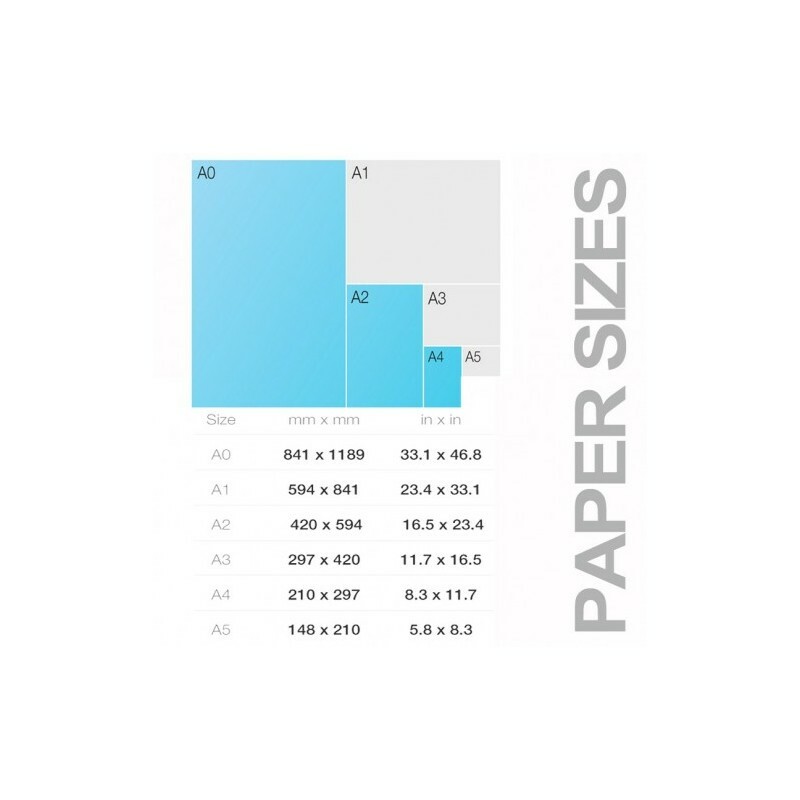 Made from durable aluminium, the pavement sign has a weatherproof metal backboard for increased strength and stability, and can be folded down in seconds for easy transport and storage – perfect for daily use outside shops, cafes, restaurants, garden centres, retail outlets and more. 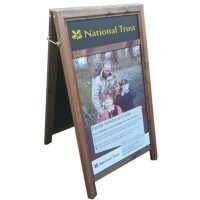 Available in either A2 or A1 sizes, the pavement sign is a great way to attract passing trade and increase footfall - just place the wood effect snap shut A-board outside your shop or business to effectively increase brand awareness. 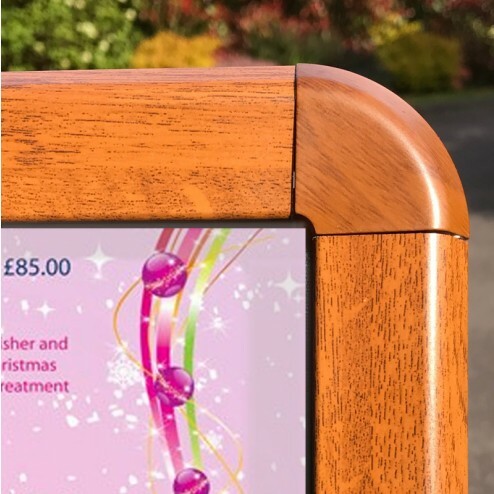 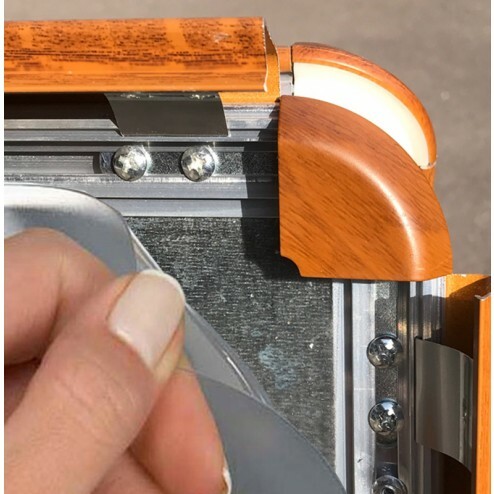 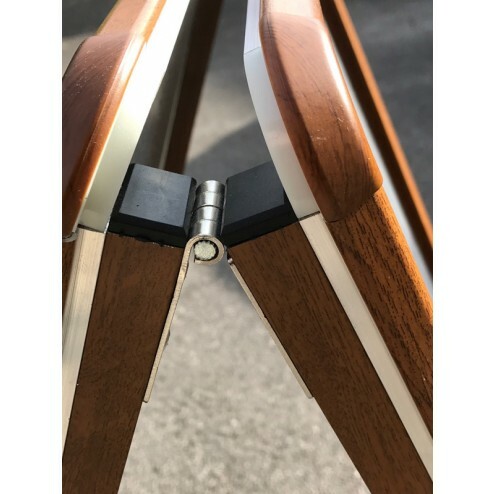 Simple, functional, attractive and easy to use, these snap shut A-board signs have been bought in bulk allowing us to offer you a high quality promotional tool at an exceptionally affordable price.